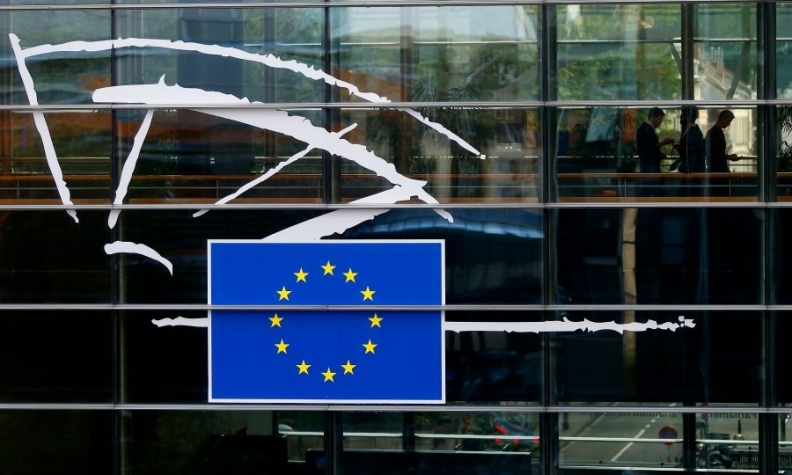 BRUSSELS -- European Union countries gave initial clearance on Thursday to start formal trade talks with the United States, EU sources said, a move designed but not guaranteed to smooth strained relations between the world's two largest economies. France will vote against the opening of trade negotiations between the European Union and United States given the repeated trade threats from Washington and its decision to quit the Paris climate accord, an Elysee official said on Thursday. "France does not want a trade war or tension with the United States", the source said, adding that it was likely only France would oppose opening the talks.The French move does not block opening of the trade negotiations because the necessary majority of EU member states backs it. But U.S. tariffs still apply to EU steel and aluminium and Trump threatened on Tuesday to impose further tariffs on $11 billion worth of EU products related to a long-running aircraft subsidy dispute. Diplomats say Germany, whose exports of cars and parts to the United States are more than half the EU total, wants to press ahead with talks to ward off tariffs on carmakers Volkswagen, Daimler and BMW. The European Commission said it had started to draw up plans to retaliate over subsidies for U.S. plane maker Boeing.